ELIZABETH CITY, NC - For the automative world and car enthusiasts, 2015 is shaping up to be an unforgettable year! 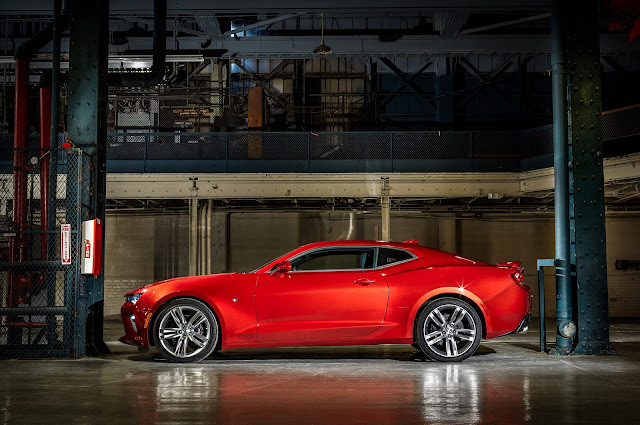 Recently, all eyes have been on the 2016 Sixth-Generation Chevy Camaro, since its Detroit reveal party back in May. Since then, buyers have been waiting for any news regarding a 2016 Camaro release date, and they may have just found the answer. Recently it has been revealed, via CamaroNews, that the 2016 Chevy Camaro is rumored for an August 13th release date! This means that in 24 days, potential customers can visit their local Chevy dealer (including Performance Chevrolet) and put cash down on their all-new 2016 Camaro. The Chevrolet Camaro is an iconic vehicle whose first model was unveiled a near half century ago and was designed to specifically compete with the then popular, Ford Mustang. The pony-car has received acclaim world-wide and even passed its rival car sales in 2010, and because of this immense success, the vehicle has been reinvented six times over the years. Thanks to a leaked document from CamaroNews, the 2016 Chevy Camaro is now rumored for an August 13th release date that cannot come soon enough! In the past Camaro has initially made the Coupe version of the muscle car available before the convertible version, and it is thought that the automaker will follow that same pattern with the sixth-generation model. According to CamaroNews, production for the new muscle car will begin the week of August 22, in Lansing, Mich.